The activist said that this is sending a wrong message and the government is basically deterring tobacco control. 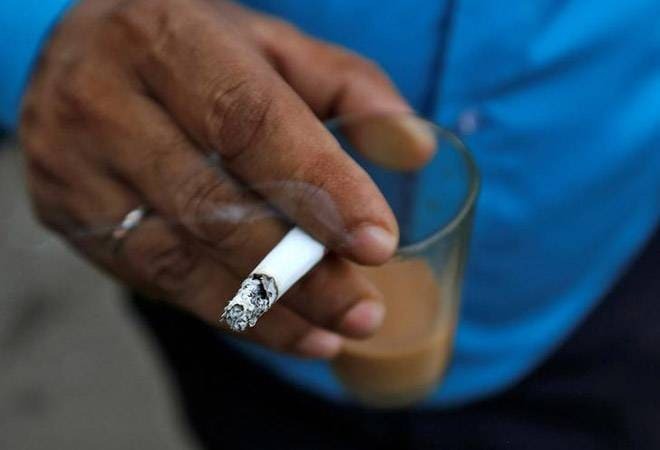 A small Indian non-profit funded by Bloomberg Philanthropies will not be allowed to carry out tobacco-control work in New Delhi after it failed to disclose its funding, according to a city government official and a memo seen by Reuters. Other foreign-funded organizations will need to seek prior approval in the future for anti-tobacco activities in the Indian capital, the official also said. The Delhi city government's decision comes amid similar moves by Prime Minister Narendra Modi's federal administration, which has since 2014 tightened surveillance of foreign-funded non-governmental organizations (NGOs), saying many of them work against India's national interests. Thousands of charities' licences have been cancelled for misreporting donations in recent years. Reuters reported last year that India had discreetly investigated how Bloomberg Philanthropies, founded by billionaire Michael Bloomberg, funds local non-profit groups for anti-tobacco lobbying. In the latest case, a Bloomberg-backed NGO, Socio Economic and Educational Development Society (SEEDS), had approached the Delhi city government to collaborate on tobacco control but did not share its foreign funding details when asked, the city's chief tobacco control officer S.K. Arora told Reuters on Monday. His decision not to allow SEEDS to carry out tobacco-control activities in the city is aimed at promoting funding transparency, Arora said, adding that he remained fully committed to tobacco control. Arora said SEEDS had proposed advising the state government on tobacco-control policy matters. The head of SEEDS, Deepak Mishra, said he had not received any order from the Delhi government. On reviewing the note shared by Reuters, he said SEEDS was working on tobacco control with two state governments and would discuss the issues with Arora. SEEDS has yet to start its work in Delhi and Mishra declined to disclose the funding he receives from Bloomberg. A spokeswoman for Bloomberg Philanthropies, Jean Weinberg, did not respond to a request for comment. An anti-tobacco activist in India, who did not wish to be named, said the Delhi government's decision would set a worrying precedent. "This is sending a wrong message. They are basically deterring tobacco control," the activist said. The central government has stepped up scrutiny of NGOs registered under the Foreign Contribution Regulation Act (FCRA) in recent years. In 2015, it put the Ford Foundation on a watch list and suspended Greenpeace India's FCRA license, drawing criticism from the United States. The FCRA licence of at least one Bloomberg-funded group - the Institute of Public Health Bengaluru - has not been renewed in the last two years, in part due to the home ministry's investigation into the foundation's funding activities. A 2016 note from the home ministry, which Reuters reviewed last year, said the Bloomberg charity successfully lobbied for the introduction of bigger health warnings on cigarette packs and raised concerns that the foundation was running a campaign to "target" Indian tobacco businesses. The federal Indian health ministry, in contrast, has promoted tobacco-control, launching several campaigns to deter its use. More than 900,000 people die each year in India due to tobacco-related illnesses. The Delhi state government's latest order on the Bloomberg-backed SEEDS, issued on Nov. 20, also included a warning for other non-profits. The note has not previously been reported. "These days, the government of India is very particular on international fundings & is investigating the actual objectives of various international funding agencies including Bloomberg," Arora wrote in his note, referring to the federal government. All non-profits having international funding from Bloomberg or other sources are "completely prohibited to execute any activity under tobacco control" unless approved by the state government, the circular said. Michael Bloomberg's financial data and news company competes against Thomson Reuters.